Celebrating the New Year in Hawaii with fireworks. There is no better way to say aloha to the future than by celebrating New Year in Hawaii. Visitors from all over the world congregate in Hawaii to kick off a new season with joy, hope and laughter. Whether you plan to watch fireworks or party all night, spending New Year in Hawaii will be memorable. Check out the list below for things you can enjoy on each island. The Gathering Place of Oahu erupts with activities for the New Year. From downtown Honolulu to Waikiki, you can join in events ranging from fireworks, cruises, dinners and parties. The fireworks show on Waikiki Beach starts with aerials launched every minute from 11:55 pm. And it ends with an explosive crescendo of light at midnight. Honolulu’s Kaka’ako Waterfront Park has a longer fireworks show. It begins at 9 pm, continuing in hourly intervals and culminating in a monumental display at 12 am. The Ko Olina Resort and the Moana Surfrider hotels also offer impressive firework displays. So no matter where you are, fireworks will be a part of experiencing New Year’s Eve on Oahu. Looking for New Year’s Eve parties? If so, you can certainly find them here. Example include: Tiki’s Grill and Bar, the Trump Hotel Waikiki or the Pink Party at the Royal Hawaiian. 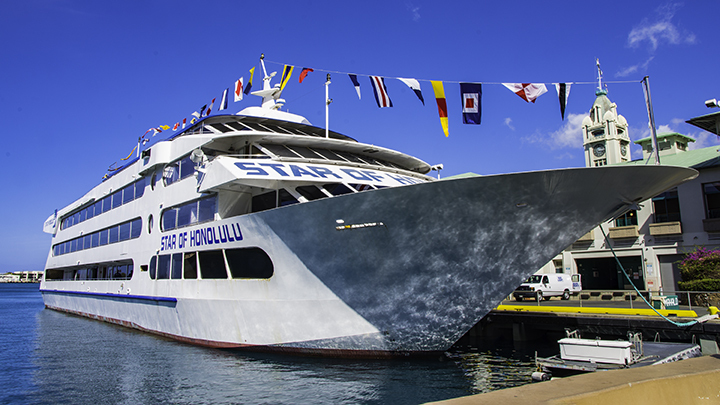 The Star of Honolulu Dinner Cruise might be the best way to view fireworks out on the ocean. For families looking to feast together, most restaurants and hotels offer fix-priced meals and multi-course dinners. 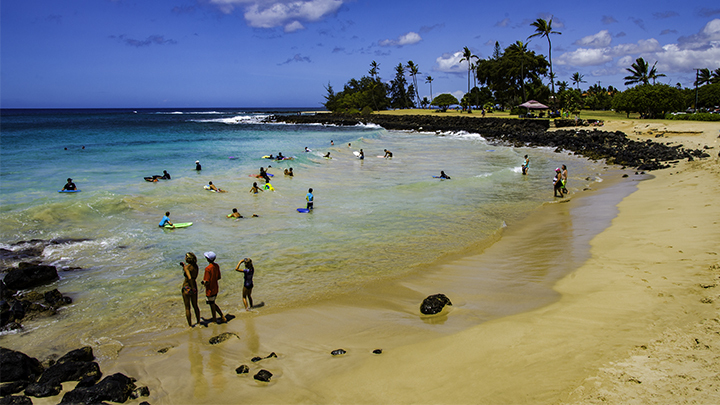 Poipu Beach is one of the most beautiful beaches in Hawaii. And on New Year’s Eve, there is a particular brilliance on its famous shores. The fireworks on Poipu Beach begin at 10 pm in thunderous glory for all to see. Visitors can gather before the fireworks on Poipu Beach to enjoy live music beginning at 5 pm. Also, you can celebrate the New Year in Poipu or Princeville in parties and dinners at local hotels. For a more meditative approach, you can walk the Inspirational Moonlight Labyrinth at Kealia Beach. Here, attendees can cast off unwanted thoughts from the past and look forward to the future. Celebrating the New Year in Hawaii on Poipu Beach. 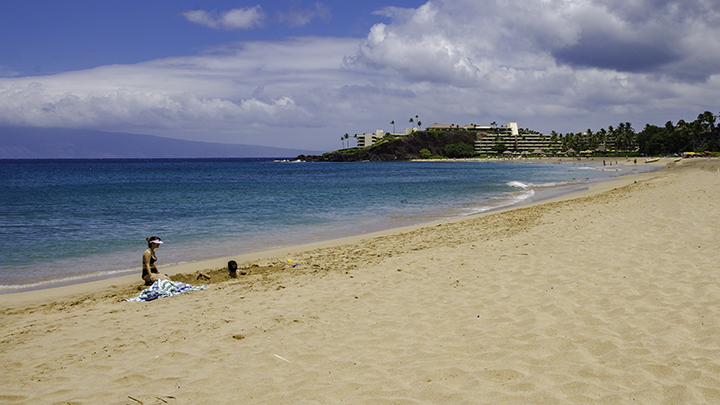 Among the more stunning aspects of Maui are its coastal views from the water. Visitors can spend New Year’s Eve off Lahaina on dinner cruises. These usually last between 3 to 4 hours and come with multi-course meals, live entertainment and champagne. For a Hawaiian-style party, the Hyatt Regency Maui throws a luau with an open bar and entertainment. 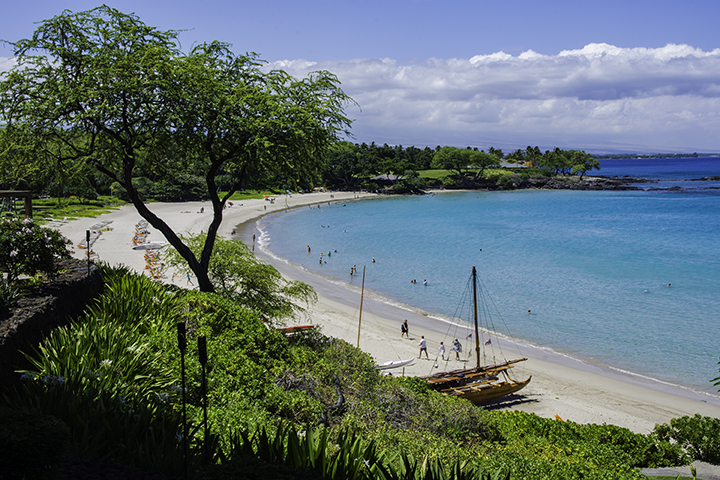 Visitors can also attend a dinner and magic show at the Ka’anapali Beach Hotel. The Grand Wailea Resort has a popular fireworks show. While The Four Seasons Hotel is for those who want to ring in the year with a grand display of light. Many larger hotels on the Big Island celebrate New Year by offering 3-course dinners and parties. The Hilton Waikoloa Village and Rays on the Bay restaurant features award-winning chefs who create unique New Year menus. While DJs will keep the crowds dancing until the wee hours of the morning. 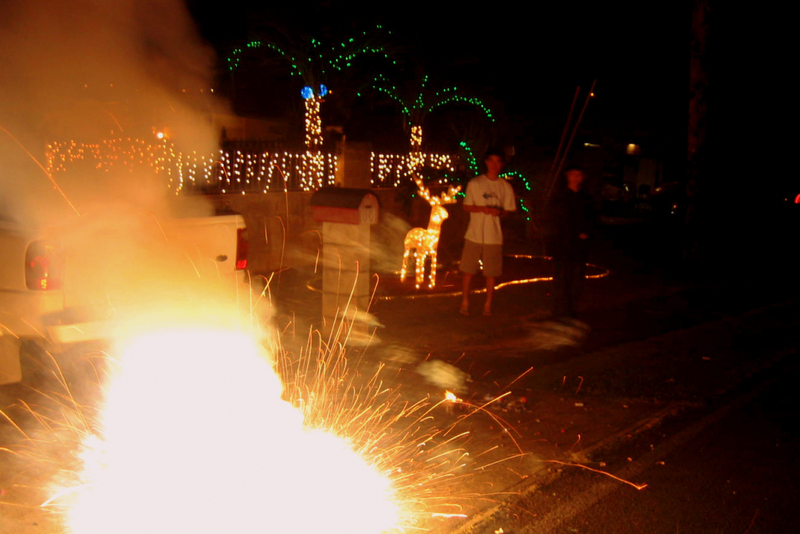 In true Hawaiian spirit, there is also a spectacular firework display in Kailua-Kona. You can even participate in traditional mochi making at the Akiko’s Buddhist Bed and Breakfast. Here, people can make rice and them pound into cakes of mochi. Or they can enjoy Japanese craft making, calligraphy and flower arranging. Whether you prefer to party with your friends or attend cultural events, the Big Island offers New Year festivities for everyone. Vacationing families should also look into activities like zip lining, parasailing and ocean sports rentals. There is nothing like starting off the New Year in the sunshine while everyone else is wading through snow. Mauna Kea Beach on the Big Island.